We have an extensive bar stock and can provide anything from cask ales and coffees to cocktails. So, if you have any special requests regarding any pre-dinner drinks, toasting drinks, wine for the table or any drinks throughout your event, please don’t hesitate to ask us. We have a superb selection of menus created by our Head Chef and with a flexible approach you may decide to choose a bespoke from fine dining to fish & chips or barbecue, or a buffet style cuisine, or an afternoon tea, or a hog roast. We offer good, traditional home cooked food using quality locally sourced ingredients. Hog Roast Free range, home reared pigs. Traditional breeds for the best flavour. We provide a starters menu, offering you a big choice of different soups, cold and hot starters. Main course options include Roast Beef, Yorkshire Pudding, Roasted Salmon, Mushroom Stroganoff and many other. Wide selection of delicious desserts is available. We prefer to tailor our menus to your personal test. 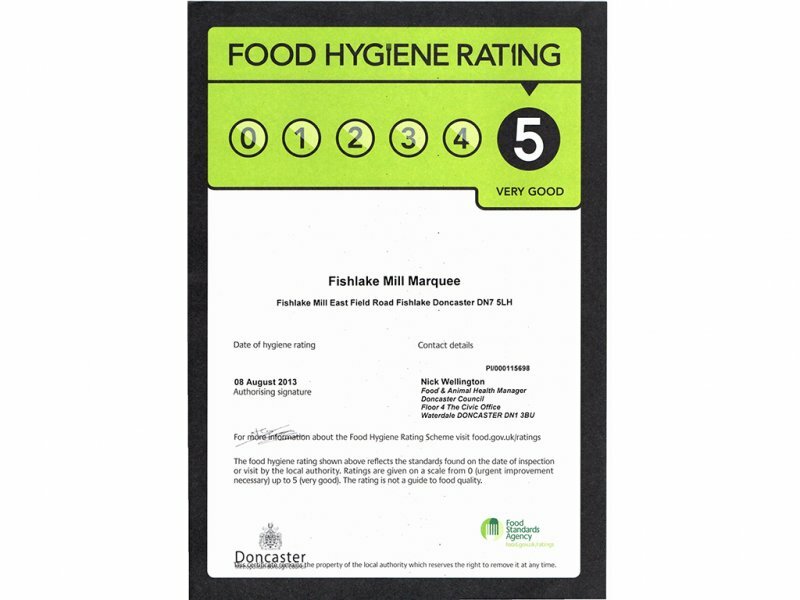 Our food hygiene is rated Five as “Very Good” by The Food Standards Agency.